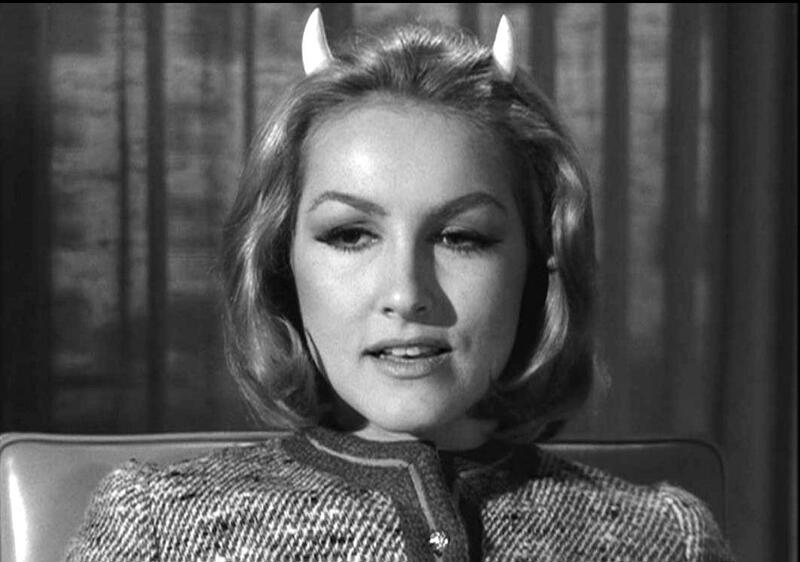 This episode runs through most of my favorite Twilight Zone plots: nostalgia, time travel, and a Faustian bargain. It doesn’t work as well as I’d hoped, but it explores one of my favorite questions: if you could go back in time and relive your life, but with the knowledge you have now, could you live it better? When communication really was a series of tubes. Ed Lindsay, a bitter man in his fifties, is sick of the mindless television, so he fixes up his old radio. But only he can hear it, and the transmission is from thirty years in the past. 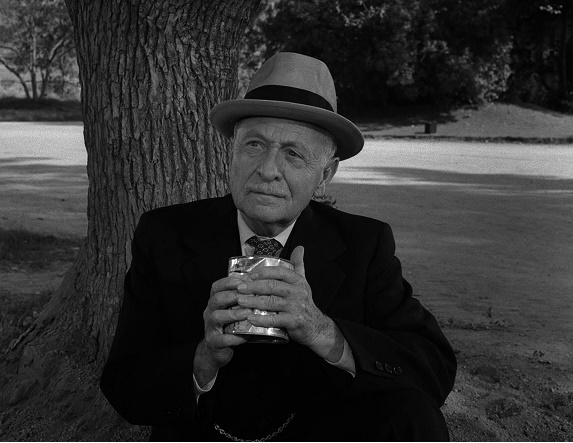 “Static” is one of six unfortunate Twilight Zone episodes to be shot on videotape instead of film. It looks terrible and is a tad predictable, but it’s a solid story with a great feel. 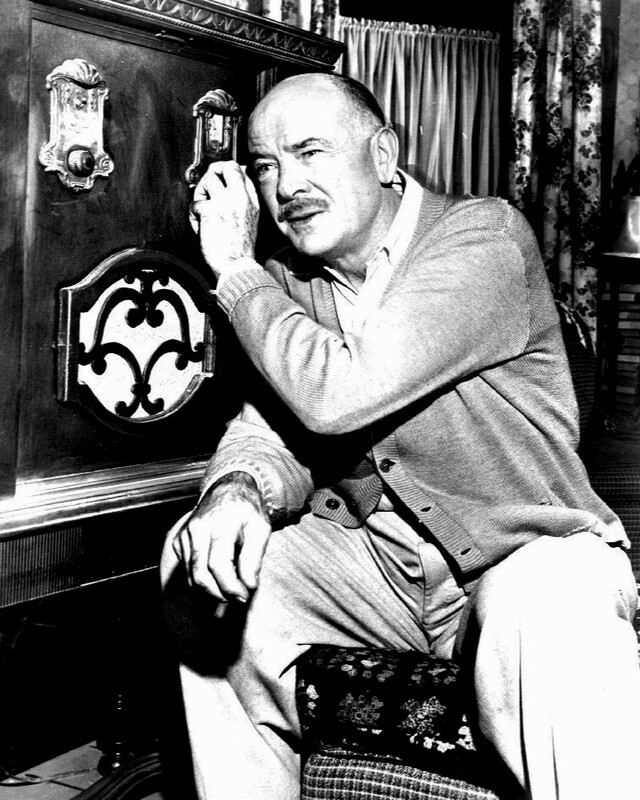 Academy Award-winner Dean Jagger carries the episode, playing an angry but sympathetic man who has let his life slip away. Non-annoying child actors are an accomplishment. A young brother and sister escape from their selfish, bickering parents by swimming through a magic hole in the bottom of their swimming pool. 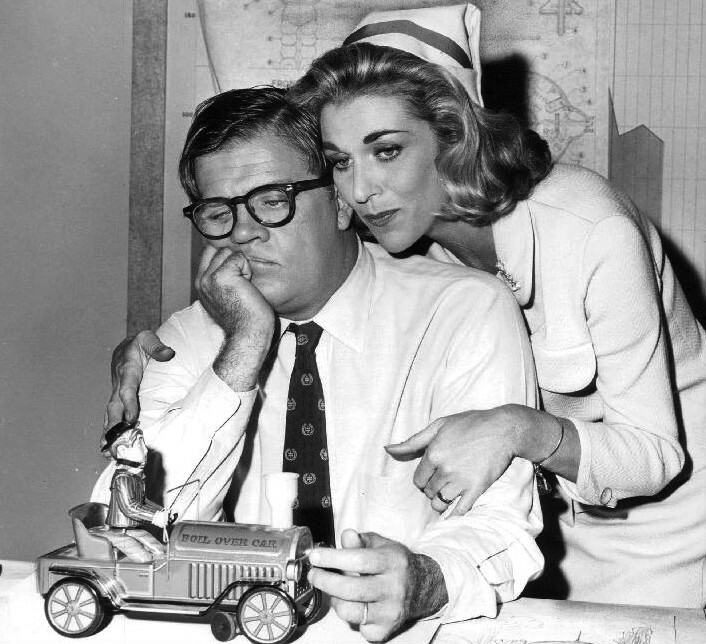 The Twilight Zone does an incredible job with kids, and I enjoy how the final episode showed the frustrations of childhood from their perspective. It’s a bit weird, as the children escape to a nostalgic place, but it’s not something they’d look back on with fond memories. This is one of those episodes that glosses over a very real grown-up horror; in this case, children drowning in a pool. Found the toy car on eBay for only $279.99! Horace Ford, a 38-year-old toy designer, longs for his childhood on Randolph Street. But his memories of the past may not match the reality that invades the present. My favorite of the hour-long episodes of the fourth season, this one has a disquieting feel that has plenty of time to fester. Sure, we’ve all thought about being a kid again. But what if you were stuck reliving the worst moments of your childhood? That’s some Beakman’s World-style science, right there. A janitor from a slapstick, silent version of the 1890s is transported by a time travel helmet to present-day 1962. Here’s a metafictional look at how the world changes. The 1890s of “Once Upon a Time” is as wild and dangerous as Roger Rabbit‘s Toon Town. Starring none other than Buster Keaton, this episode will cross over with my forthcoming Actually Funny Episodes of The Twilight Zone list. A mad romp, and more fun than I’d come to expect from the show. Next stop, feelings of a vague disconnection from your everyday life. We’re getting into some of the series’ definitive episodes. 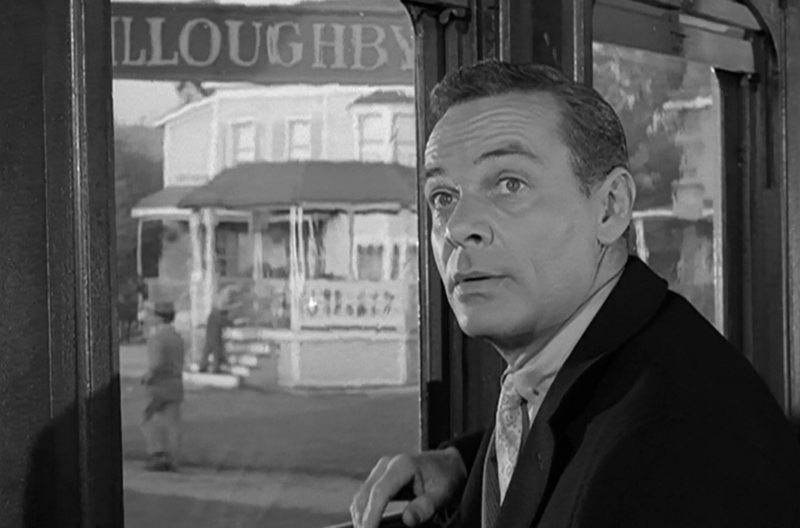 I love the slow burn and the mystery of Willoughby. This story feels dark and wonderful, and there’s an elegant rhythm to Williams’ repeated train trips. The fact such a wonderful episode ranks in at Number 5 is a purple testament to how great the rest of the episodes are. Theaters are dark and therefore creepy. Aging movie star Barbara Jean Trenton spends her days in a dark room watching her old films and dreaming of better days. Is it any wonder those Hollywood fantasies have more substance for her than the real world? A nice mix of denial, madness, and a longing for the glory days. Ida Lupino really brings Trenton to life, and you understand why she’s hidden herself away from depressing reality. All the characters have a lived-in quality that makes you care about them and how it all plays out. Sometimes you don’t know what you got till it’s gone. 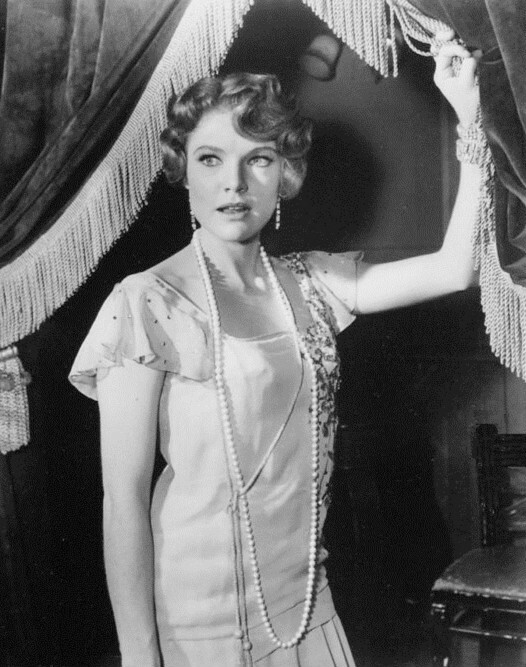 Booth Templeton is an older Broadway star longing for dead friends and lost love. When he slips into a speakeasy 30 years in the past, will it be everything he hopes for? Unlike many Twilight Zone time travelers, Booth has genuine reasons to want the past back again. He lost the love of his life after seven years of marriage, and his best friend is dead and gone. Haunting images and a touching story of love and friendship make this one of my favorite episodes. I’m not alone; a band liked this one so much, they assumed the name. Have you ever actually played kick the can? It’s crazy hard. Charles Whitley, retirement-home troublemaker, believes he’s found the secret to eternal youth: a moonlight game of kick the can. I’m all about whimsy, and this story has doesn’t skimp on the whimsy. Yet it balances it out with this poignant regret that really hit you in the gut. Ever notice that carousel horses look like they’re screaming? Martin Sloan stops to have his car repaired within walking distance of his old hometown. When he gets there, it’s exactly how he remembers it when he was a child. Exactly the same. This story is its own world, with its own set of rules and complete unto itself. The town of Homewood feels alive and inviting. You understand why Sloan wants to go back, but you know why he should not. 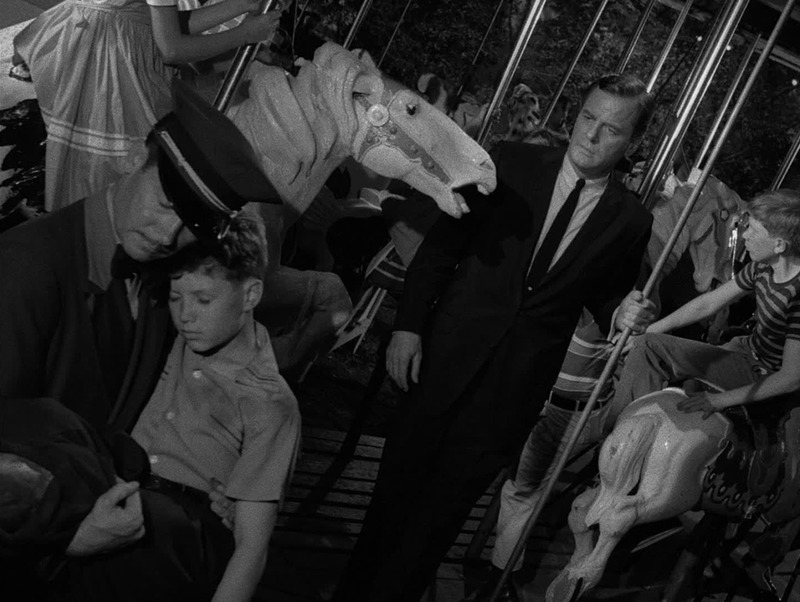 That haunting ride on the carousel is one of the best scenes I’ve ever watched on television. It’s one of the best episodes of the entire series, and easily the most nostalgic. Did I miss any of your favorite Twilight Zones that are obsessed with the past? What’s your favorite episode? Let me know in the comments.